Are Good Cats Really Solitary? Welcome to October everyone. CEO Olivia here. As you might know, a few weeks back we adopted a young cat named, Jerry Underfoot. He & Dottie become furriends instantly. They play-fight, play, “chase me” & even sleep curled up together. Now I always thought house cats were aloof & solitary creatures. Apparently, this is not the case. Cats are social, just not in the way us dogs are. They hunt alone because their prey usually isn’t big enough to share but cats do enjoy & even need companionship. They can go through separation anxiety just like us dogs. Cats are territorial, so introducing a new cat to the home will require a time of adjusting as the cats negotiate the rules. In our case, the transition was rather quick because both Jerry & Dottie are young. I also think they just plain liked it other. 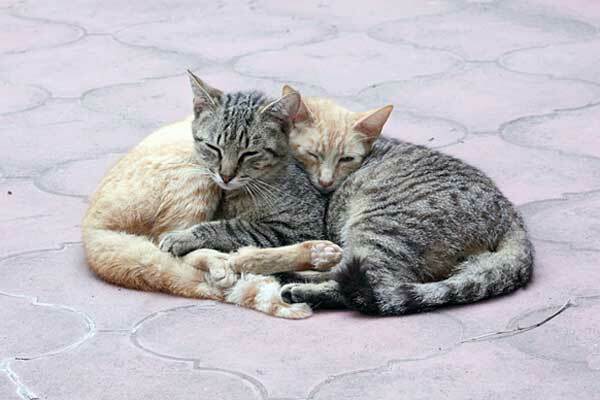 In feral colonies, cats have been seen to form friendships, much as humans do. They don’t develop a hierarchy like dogs do & they won’t hunt in packs. They also won’t establish a social survival strategy, “all for one & one for all”, is more of a dog thing. But they will hang out & socialize with one another & mother cats will share responsibilities. Summing up, cats are social & like companionship, but they don’t form structured societies like us good dogs. Bottom line is, if you have a cat companion, it probably would enjoy a cat furriend.